Amy Schumer is the undisputed funniest woman in comedy right now. To go along with her comedy specials, tours and shows, Schumer starred in and wrote the hit summer comedy movie Trainwreck to capture the attention of a wider, national audience. 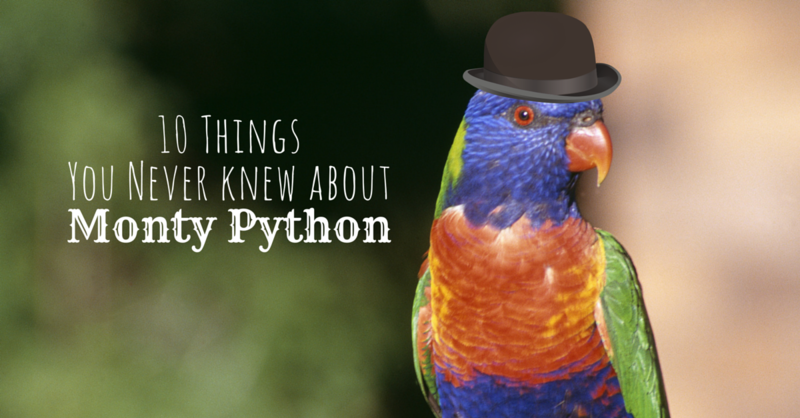 We’re big fans of Monty Python around here (and really, who isn’t?) and were reminded of their greatness when tickets were posted for a few shows featuring Python members John Cleese & Eric Idle. But rather than rehashing what makes Monty Python and the Holy Grail the standard by which all comedic films since have been judged, we’re offering up 10 things you probably don’t know about Monty Python. Or maybe you do, whatever. Monty Python helped bring about a piece of legislation relating to how performers and networks deal with creative works. In 1975, while Monty Python’s Flying Circus was still on the air from the BBC, the team attempted to stop ABC (The American Broadcasting Company) from airing a special edition of Flying Circus on American television. Michael Palin and Terry Gilliam went before the court claiming that ABC’s edits of their work, e.g. that the network stiffs had “cut out all the rude bits,” and caused the resultant sketches to be soundly unfunny. And while the duo didn’t get a favorable ruling in time to stop ABC from massacring their work on air, by showing the original sketches followed by the edited versions to the court, they proved their point and set a landmark legal precedent: creative owners of a project now have protected rights and their works cannot be butchered simply because of what network executives decree. In essence, the precedent protects the integrity of creative works. The Oddball Comedy and Curiosity Festival is back! Last year, the Funny or Die event debuted, headlined by comedian Dave Chappelle. Although there were a few snafus with the 2013 tour (most notably, when Dave Chappelle walked offstage), the 2014 tour promises it’ll be even better than the last. This year’s line-up includes: Louis C.K., Jim Gaffigan, Sarah Silverman, Aziz Ansari, Amy Schumer, Marc Maron, Chris Hardwick, Bill Burr, Brent Morin, Dave Attell, Demetri Martin, DJ Trauma, Hannibal Buress, Jeff Ross, Jermaine Fowler, Jerrod Carmichael, Jim Jefferies, Julian McCullough, Michael Che, Moshe Kasher, Nate Bargatze, Reggie Watts, Ron Funches, Rory Scovel, and Whitney Cummings. Check out where the show is heading below, or visit the Oddball Comedy page for more information on tickets. Let’s ignore the whole Miley Cyrus thing and instead talk about an adorable love song, a weird comedy show, and a delicious fall flavor. Fred and Lorraine’s story is a unique one. The couple had been together for 75 years (married for 73), when Lorraine recently passed away. Following the loss, Fred felt inspired not only to write a song for the love of his life, but to submit it into a song-writing competition hosted by Green Shoe Studio. The company was so moved by Fred’s story that they produced and recorded his song, and filmed the entire process and now, Fred’s song “Oh Sweet Lorraine” is available on iTunes. The short documentary, appropriately called “Letter From Fred,” will warm your heart and make you cry. “I Love Lucy” is easily one of the most iconic shows of all time. So it’s no surprise that I Love Lucy Live Onstage exists, has won several awards, and will be kicking off the next leg of its tour tonight in North Carolina. 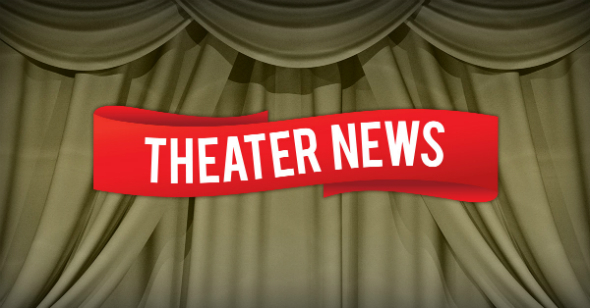 The show puts audiences in the role of the “studio audience” as they watch famous “I Love Lucy” episodes be filmed right there on stage. The production is set up like a television set on the old Desilu Playhouse sound stage, film cameras and all. Since I Love Lucy Live Onstage uses old “Lucy” episodes as its basis, here are 5 of the show’s most memorable moments.